Dream a little this summer, with ARIEL Theatrical. The community show is coming! Joseph and the Amazing Technicolor Dreamcoat opens Friday, August 4. Turn back the sands of time and travel far across the sea for a family drama of Biblical proportions. 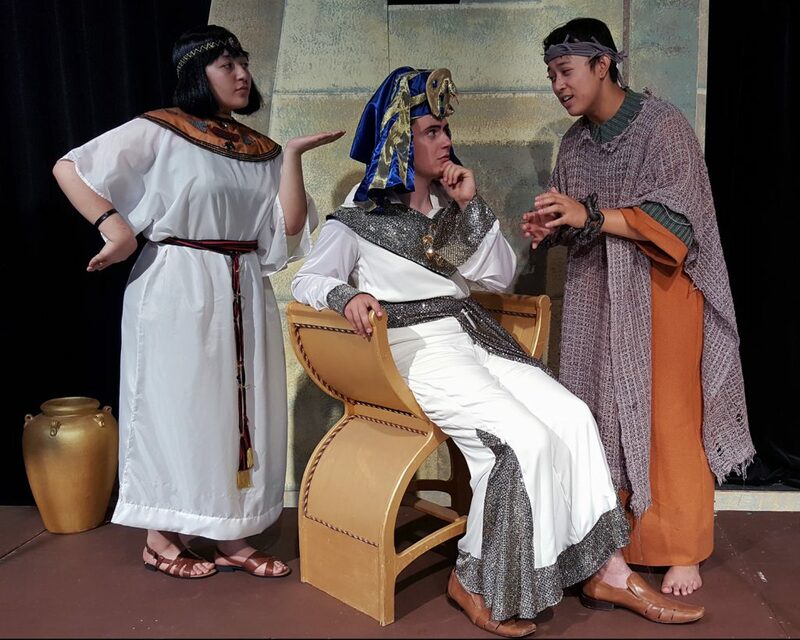 Joseph, the favorite son and prophetic dreamer, contends with the antics of his eleven jealous brothers after he receives a gift from his father. The coveted coat of many colors is the catalyst for an epic tale that carries Joseph on a journey of betrayal, despair, faith, forgiveness, and ultimately, triumph. Performers of all ages come together for the annual Community Show that is always a highlight of the summer. The Broadway score features favorite songs by Tim Rice and Andrew Lloyd Webber. The eclectic musical mix will have you dancing in your seats with country/western crooning, calypso beats, and even the Elvis impersonating Pharaoh live from Egypt! Bring your family, friends and brothers to the Karen Wilson Children’s Theatre to see the story come to life. “All we need is an hour or two, to tell the tale of a dreamer like you.” Dream a little this summer, with ARIEL Theatrical. Tickets may be purchased online (www.arieltheatrical.org), by phone (831-775-0976), at the ARIEL box office, or at the door. Seating is limited. Joseph and the Amazing Technicolor® Dreamcoat is sponsored by Silva Farms, LLC. All summer programs are sponsored by Valley Exxon, 1050 S. Main Street, Salinas.